I know, I know … you thought you’d seen the last of me as Editor of the PSASA newsletter. Well, they asked me back for a 3rd time. Go figure. Maybe our President, Francois Muscat thinks that after two tries I’ll start getting it right. Although, ‘editor’ is probably too strong a word in this instance. I’m really just the curator of content and the good folks at VDW (our administration partner) put the newsletters together and distribute them. My intent is to give you a newsletter packed with relevant content that you’d like to read. Clearly, I need content. I need your help. 2017 – 2018 The PSASA Convention 2017 was a great success. Thanks to our past President Richard Mulvey and Convention coordinator Bronwyn Hesketh. Our 2018 convention planning is underway, so make sure you book this event in your diary. The 2018 Convention will be held at The Indaba Hotel in Johannesburg on April 13 -15. SAVE THE DATE. The theme is “ACCELERATE”. 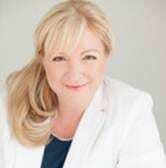 We will be focusing on giving energy to your speaking business. 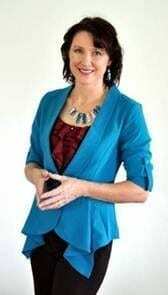 I am pleased to announce that Barbara Johnson has been elected as the Durban Chapter President and we look forward to supporting her grow the membership. We have two members on the GSF. Ross Saunders as Ambassador and Jacques de Villiers as our Board member. Congratulations gentlemen. Gavin Novis is planning our 2nd mid-term convention which will be held on October 21 – 22. The agenda will focus on “Speaker Growth & Education”. SAVE THE DATE. Venue to be announced soon, it will be in Johannesburg. Our focus this year is on membership growth and we are off to a great start with 12 members signing up since April. We’ve formed the following team to help grow our membership. Marketing Team: Myself, Bronwyn Hesketh, Jacques de Villiers supported by Gavin Novis and Garth Farrant. Our newsletter is being coordinated by Jacques de Villiers. Being social is one way of promoting our association so please follow us on Facebook and share your experiences. To a great month of speaking. The JHB Chapter of the PSASA continues to grow in leaps and bounds. The programmes at each of the past 3 events has included an array of interactive activities and diverse guest speakers. The focus has been on growing the business of professional speaking, building current membership and encouraging old members to return. An increased interest towards guests joining the PSASA is also a huge goal. The theme was “The Exceptional Speaker”. Francois Muscat recorded a presentation on the goals and objectives for the PSASA from 2017 to 2020. Paul du Toit, linked up via Skype with Alan Stevens in the UK to address the skills behind being successful as an international speaker. Paul and Alan are co-authors of the book – You can Present with Confidence. 21 PSASA members and guests were in attendance at this event. The theme was “Fix The Flaw in Your Future”. 27 PSASA members and their guests were addressed by PSAUK sales guru, Andy Preston and finally fascinated by the subject content and presentation of award-winning writer, analyst and technology commentator, Arthur Goldstuck. The theme was “An evening with the 3 Cs”. 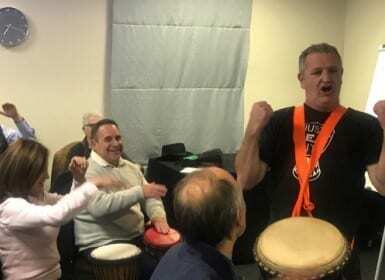 Colin Heaney introduced 38 members and their guests to “Drum power” for teamwork, stage-craft and communication skills. Colin Horner mesmerised us with his unique communication skills as a “sketch-noter”. 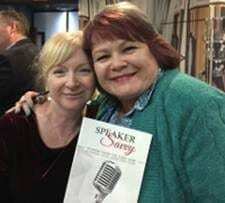 Finally, internationally celebrated singing artist Cindy Alter of “Clout” fame inspired and moved everyone with her very human and emotionally charged talk entitled “No Substitute but to Drive and Thrive”. Cindy further show-cased her singing talents with two of her songs “Substitute” and “Thrive”. Our next meeting is on July 13. Cape Town Chapter’s meetings have been very focussed on adding value to our members’ businesses, and Chapter President Bronwyn Hesketh’s theme for the year is “Create, Collaborate and Conquer”. Past President Eddie Botes shared with us how he has grown his business up into Africa as well as some of his anecdotes and success stories. Hani du Toit gave us her feedback from the convention, Nershen Pillay spotlighted in the Five Minute Slot and Bronwyn and Ray de Villiers unveiled our Chapter Project: The Brainery. Past National President, Paul du Toit, CSP, shared with us his contracting strategies and most members were furiously writing notes, so clearly, his content was applicable and relevant. Cape Chapter Deputy President Lois Strachan did another sterling job of MCing the evening and Ray de Villiers unpacked more thoughts on the Brainery and a robust discussion followed about what should be incorporated and who will be assisting etc. We are very excited about this and once we have it up and running will be sharing the whole idea and process with all other Chapters. We had a full house, despite the rain (which the Capetonians are immensely grateful for). Famous (or perhaps infamous) political commentator Chester Missing and his handler Conrad Koch were in the house, making us laugh uproariously, but also making us think about how to add humour into our presentations. Conrad has a Masters in Anthropology so his more serious side was “allowed out” and he added great value by going through a few comedy writing vehicles and sharing some of his process with us. Helen Nicholson joined us via Skype, talking about Super Networking and gave us some extremely valuable insights into how to “Connect”, more than “Network”. New-ish member Unotida Nyoni was the MC and Immediate Past President Jason Sandler stepped up for the 5 Minute Challenge. The Chapter has instituted a new segment to the meetings, called Pearls and Nuggets, in which each member shares with the group one piece of advice, one fabulous find, or one idea which they are currently using and finding valuable in their business. This is proving to be very popular, a great way to learn more about each other and add value to our lives, both professional and personal. “Attendance of the PSASA Cape Chapter is a monthly delight for me. Outgoing President, Chantaul Jordan handed over the reins to Dr. Barbara Johnson in May. 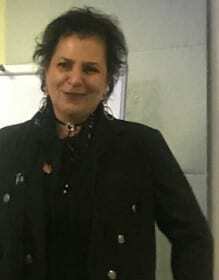 Barbara had a meeting in June to confirm committee members and roles. She will give feedback in the next newsletter as to the who, what, when and where’s. The Chapter currently has 10 members. Barbara aims to beef up that number and gaining new members will be a key focus area in the coming months. If you’re visiting KZN, please pop into the next meeting. The KZN Chapter meets at 17:30 at the Gateway Hotel, Umhlanga on the 3rd Friday of every month. 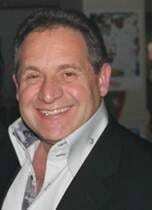 The Pretoria Chapter, under the leadership of Garth Farrant, will be hosting its meeting on 12 July. 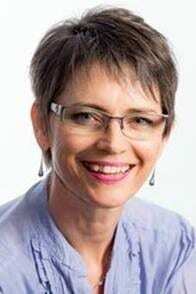 Trish serves on the leadership team of PSA Australia Queensland/Northern Territory and is an extensively well-travelled and sought-after inspirational Resilience speaker. 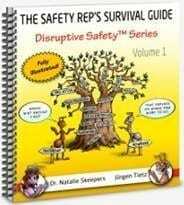 How do speaking, training, coaching and consulting professionals strategically build and grow a sustainable reputation? Because the PSASA is a member of the Global Speakers Federation (GSF), our professional members have a profile on eSpeakers, the leading online platform for marketing speakers, worldwide. eSpeakers allows meeting organisers to search for a relevant speaker, based on keywords, price, experience etc, by searching the database for what they need. All PSASA professional members have a complimentary profile on the site, which can be upgrade with additional features. Associates are able to arrange their profile directly with eSpeakers, but at a price of at least R2,000, it is worth your while to upgrade membership in PSASA first and get the exposure there, for free. We will be doing an exercise to make sure everyone’s profiles are up-to-date, over the next few weeks. This is essential for your own professional branding, as well as for the sake of PSASA’s brand. If you have any questions, you are welcome to send me an email and we can chat. We have had some fantastic online meetings recently, including Raymond de Villiers discussing Millennials in our audiences, Helen Nicholson sharing her golden content on how to network effectively, Paul du Toit sharing his successful speaker contract with us, and Bruce Wade teaching us about branding archetypes. These videos are going up onto YouTube soon, but in the meantime, keep an eye out for our next speakers. Our July speaker has not been confirmed yet, but in August, Alan Stevens, CSP, Global Speaking Fellow, Fellow of PSA-UKI, will be our guest. Don’t miss this. We are delighted to introduce our new representatives to the Global Speakers Federation. The Global Speakers Federation (GSF) is the global body to which the various national speaker associations belong. GSF champions, supports and provides resources to help develop and grow associations of professional speakers worldwide. Through GSF we also have access to speaker colleagues around the world. Jacques will represent PSASA at an international level, representing PSASA on the GSF Board and voting on any issues that affect our interests. Ross will be the communication channel between the two organisations, sharing with us any information of interest at a national level, including other associations’ national conventions, visiting speakers and online events, and sharing our activities with our intentional colleagues. Please have a look at the GSF website here and follow their social pages for more insight. Paul du Toit, CSP and Jacques de Villiers, both from the Morningside Country Club Road Runners, ran the Comrades Ultra marathon (87 km). It was Paul’s 3rd and Jacques’s 1st. Paul came in at a stunning 10:44.31 and Jacques was stunned as he crashed out half-way at Drummond after 6 hours on the road. 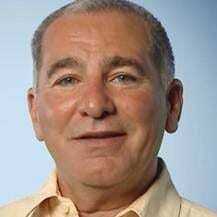 Peter Darrol, an ex PSASA member gave Jacques some hope. 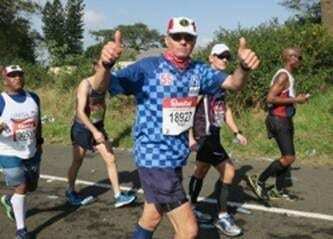 He started 25 Comrades Marathons and finished 17. Jacques wrote an article (Failure is Not Final) about his experience which you can read here. 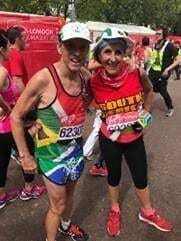 Joni Peddie and Bruce Fordyce – London Marathon Joni Peddie, a 5 x Comrades Marathon finisher, said she’d pull Jacques through next year. 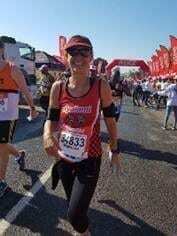 Although she skipped the Comrades Marathon this year, Joni did complete the London Marathon. National President, Francois Muscat’s (a 5x Comrades Marathon finisher) daughter, Marelise da Silva finished her 2nd Comrades in 10:06:30. A stunning performance considering she did negative splits the second half. That means she ran faster the longer the race went on. Jacques’s brother, Christopher a 14x Comrades finisher, came in at a credible time of 8:04:35.